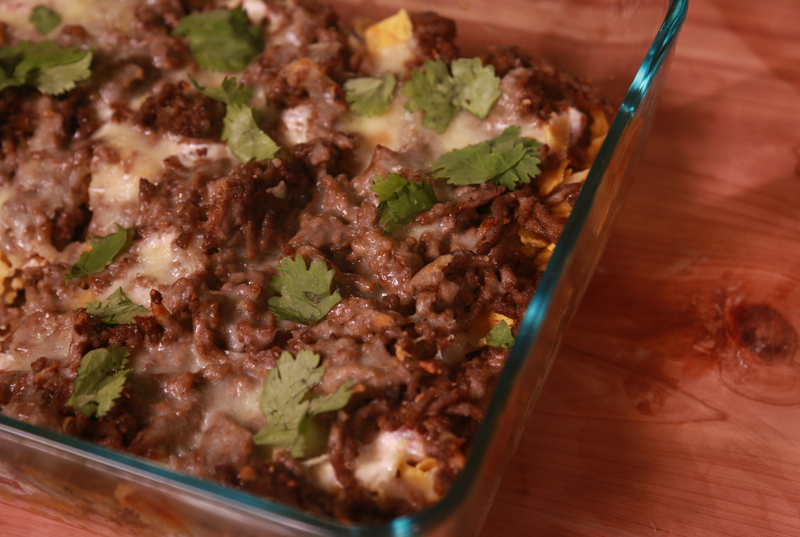 Nachos are not just for eating at baseball games and county fairs. They are a cheesy, topping-filled wonder than really should become a more staple part of our routine diets. 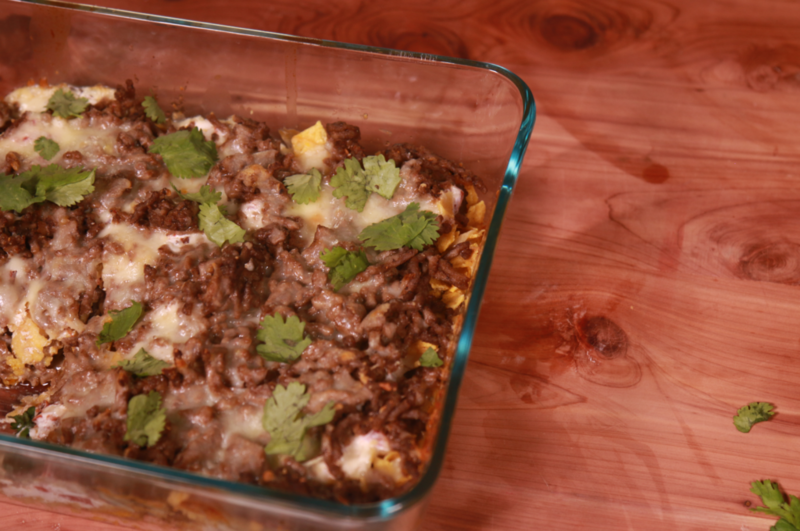 This nacho casserole takes things one step further, altering everything you thought you knew about a traditional plate of nachos! In a large bowl, add 1 cup of sour cream and 1 can of Ro-tel together and mix well. In a glass baking dish, add a layer of crushed up tortilla chips along the bottom, then a layer of the sour cream and Ro-tel mix on top of that, spreading it thinly across the chips. Cook up a pound of ground beef in a pan, then layer that on top of the mixture as well. Sprinkle a cup of cheese across the top. Continue the rotation in the same order, until you are out of ingredients. Bake at 350°F for 20 minutes. Serve with cilantro, guacamole, and sour cream on top, and dig in!